We’d love your help. Let us know what’s wrong with this preview of A Moonlight Massacre by Michael Locicero. To ask other readers questions about A Moonlight Massacre, please sign up. 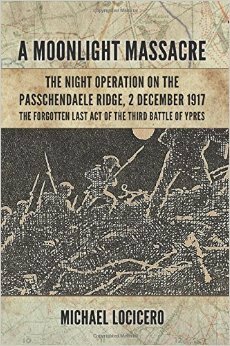 Impeccably researched and highly detailed account of the final acts of 3rd Ypres. The areas I found particularly of interest were the detail of planning such an assault, the problems of communication with the front line (& the impact of not knowing where the new front line stood), and the high level of involvement of the GOC 32 Div during the attack and in its immediate aftermath.